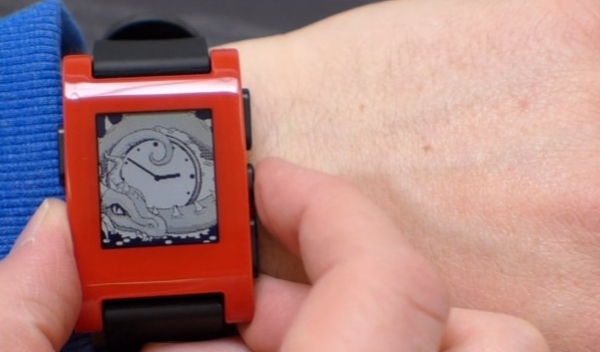 Pebble has released a firmware update for its smartwatch today that fixes a number of bugs relating to iOS connectivity and notifications. The 1.10 release is aimed at providing as stable a platform for end users who will soon be exposed to new watchfaces and apps from the developer SDK. One of the most exciting milestones to hit the device since its launch earlier this year is the release of a Watchapp SDK. Available today for developers, it facilitates the creation of awesome-looking replacements to the standard clocks that shipped with the device as well as games and other functions that take advantage of the watch’s built-in gyroscope and accelerometer. Pebble has set up Help and Install forums for its developers, and there is a constantly-updating directory of watchfaces. You must have the Pebble app installed on your iOS or Android device to install the PebbleOS firmware update, too.